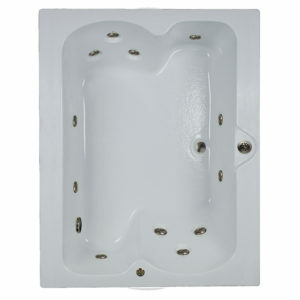 Huge Selection of America’s Best Whirlpool Bathtubs including jacuzzi-style tubs, airbaths, combination whirlpools and European massage tubs. 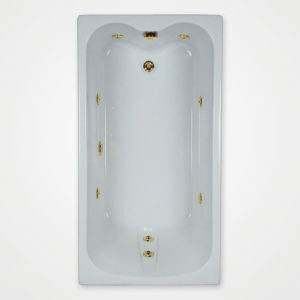 By adding 1” to the width of a 60” long and 42” wide tub, we have created a very popular 60 X 43 two person tub that doesn’t require excessive width in the bathroom. 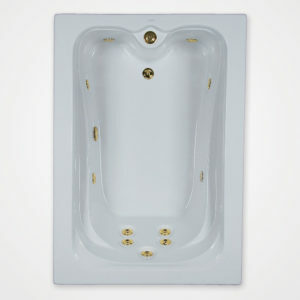 A narrow top deck, approximately 2” wide, is designed so the internal bathing area could be enlarged to comfortably seat two people sitting face to face. 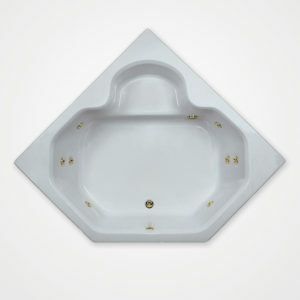 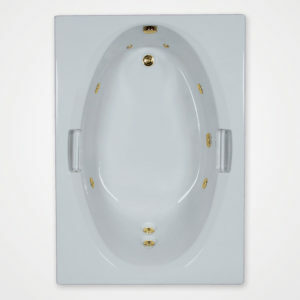 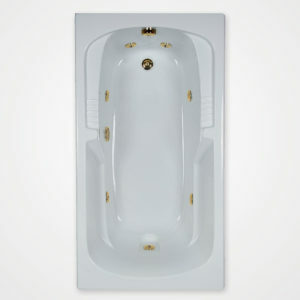 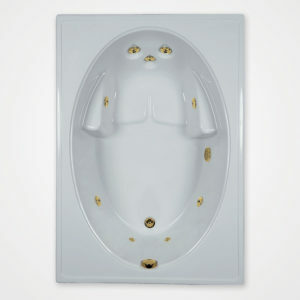 This extra deep, two person tub has a roomy open shape with eight adjustable jets. 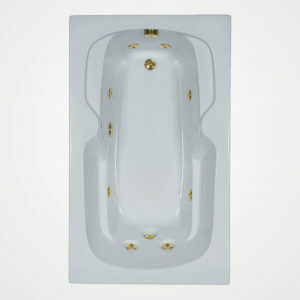 All of the jets are recessed and a convenient seat compliments this bath. 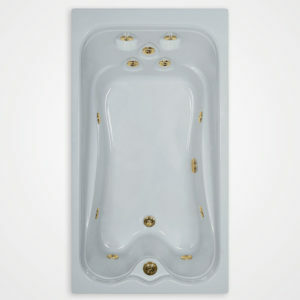 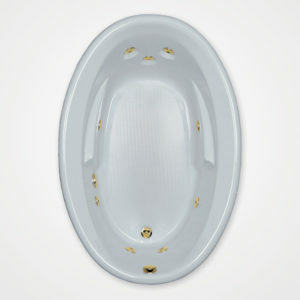 All back and neck jets are recessed in all whirlpool, combination and air baths. 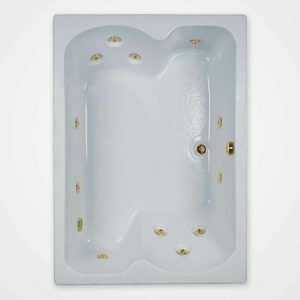 A free pulsating jet, interchangeable with any jet in the tub, is provided with each bath and can be changed out in a matter of seconds and delivers a rotating - pulsating massage action usually only found in hot tubs and spas.